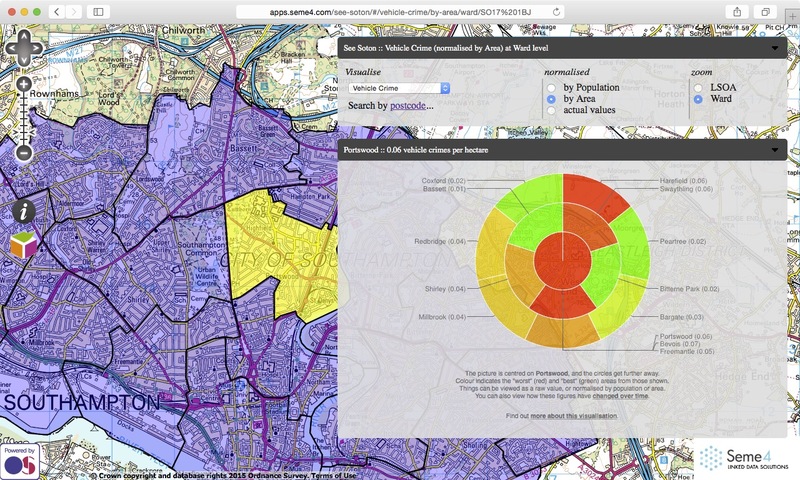 See Soton was built for Southampton City Council to explore the possibilities of Linked Data. 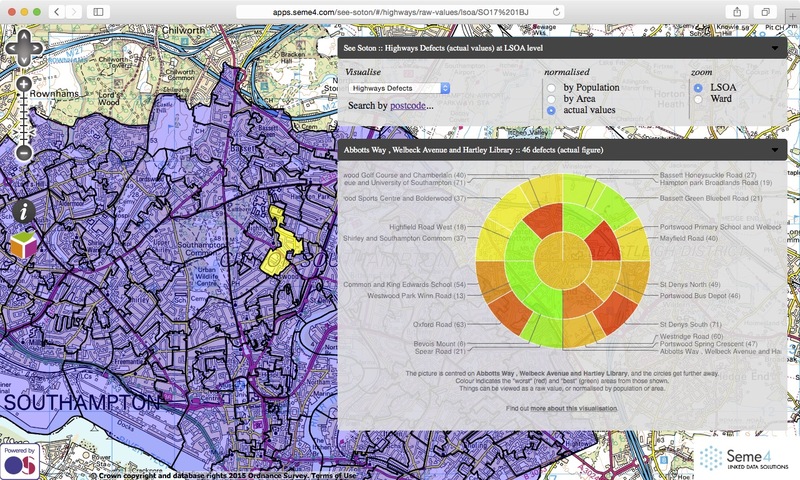 It is a localised version of the See UK site, and provides a visualisation of Open Data about a variety of topics. 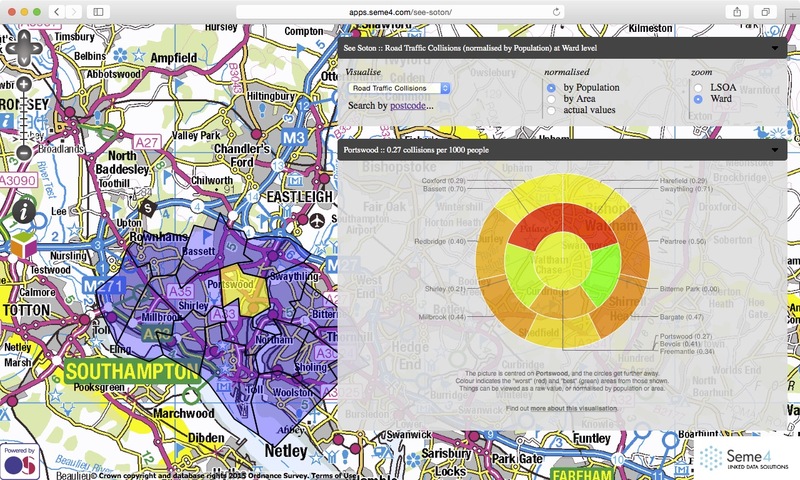 A unique feature of See Soton is that it is able to use Linked Data technologies to normalise the data against other aspects of the regions, namely population and area. The circular visualisation is an innovative was of looking at such data, where the neighbourhoods of the point of focus are shown in an abstract way, without the distraction of the map details, or even boundaries. To build See Soton, Seme4 was provided by Southampton City Council with a number of datasets, and also harvested a wide variety of coordinate based public sector information Open Data sources and converted them into Linked Data. Seme4 also had to use deploy complex aggregation tools, so that the data could be visualised at a number of magnifications.